These higher precision lenses have a significantly better core material and coating which produce a smaller spot size, block less laser light, and yields a longer life. 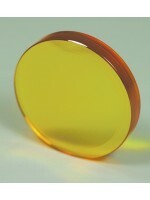 Specifications for Premium Lenses: 20mm Diameter 1.8mm Edge Thickness Coating: ZnSe (Zinc Selenium) For 10.6um CO2 Wavelength Shape: Plano .. 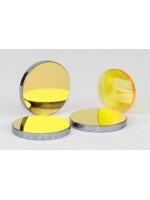 These lenses are economical and work great for general purpose cutting and most engraving. The shorter focal lengths yield smaller spot sizes, typical for higher DPI engraving. Longer focal lenses perform more as a deeper cutting knife. The typical laser machine is shipped with a standard 55mm lens (CO2LENS-20-55). 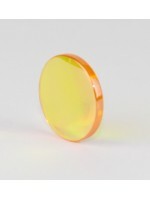 Specifications for Standard Lenses: 20mm Diameter Nominal 1.8mm Edge Thickness Coating: ZnSe (Zinc Seleni..